Leading third-crop sire by earnings. Graded stakes winners include Noted and Quoted (G1), Bound for Nowhere (G2), Multiplier (G3), etc. 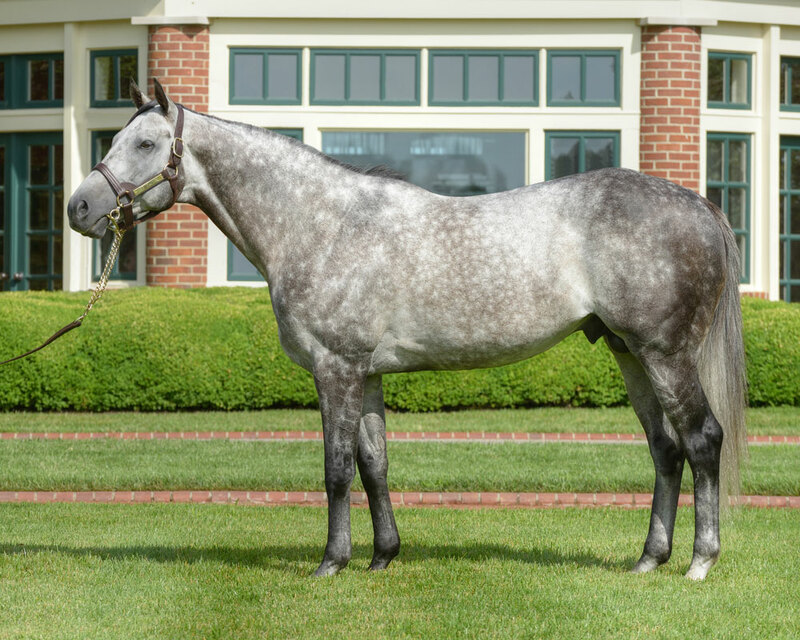 Over 60 career six-digit yearling sales up to $750,000. A multiple grade one winner The Factor is one of the most electrifying sprinter/milers of recent times and is a son of the remarkable young Danzig stallion, War Front. BR: Highfield Investment Group&comma; Inc. Distorted Humor C: Highfield Investment Group; Highfield Investment Group&comma; Inc.
BR: H & E Ranch Giant's Causeway C: Susan M. Forrester, agent; H & E Ranch, Inc.
BR: Liberation Farm & Stonewall Farm Medaglia d'Oro Cee's Tizzy C: Glennwood Farm; Glennwood Farm, Inc.
2018 Covering SireThere is no information available for this particular TDN Sales Statistics report.